The fact that I was born in Colombia means that I have eaten a lot of potatoes my whole life. Potatoes in Colombia are just as popular as rice, even though some people may say that they’re even more popular since they harvest a lot of potatoes in Colombia. That’s why you find it in many traditional dishes like soups, stews, tamales, empanadas and pasteles de pollo, to name a few. But the one thing my mom never made was mashed potatoes and I didn’t taste them until we were living in this country. I have told you this before but I always prefer yuca or cassava over potatoes. But if the potatoes are made and seasoned well, I can eat the whole thing. 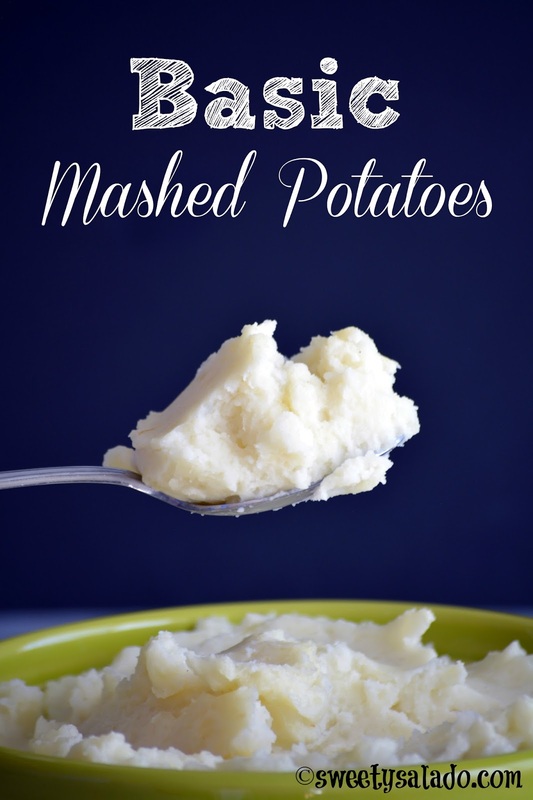 And that’s one of the biggest problems when it comes to mashed potatoes, that a lot of times they are under seasoned and who wants to eat a serving of bland, crushed potatoes? 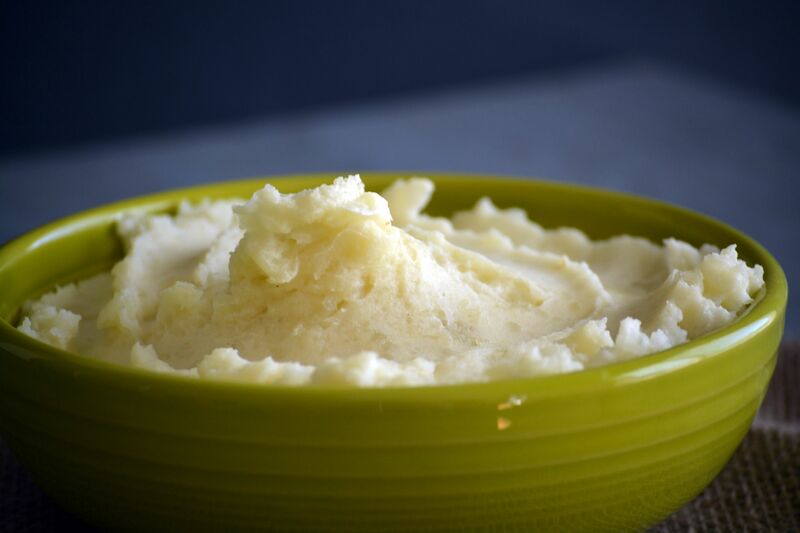 In order to make delicious mashed potatoes you need to make them with either whole milk, because of its fat content, heavy cream or a combination of both. You also have to add lots of butter and never forget to season really, really well with salt and pepper. And of course, the amount is always to taste, but taste it as you season so it comes out delicious. That’s all you need to make spectacular basic mashed potatoes. Peel and cut the potatoes into 1 inch (2,54 cm) pieces and place them in a medium pot. Cover them with water, season with salt, then cover the pot and bring them to a boil on high heat. Once the water is boiling, reduce the heat and cook at a low simmer (low to medium low) for 20-25 minutes or until the potatoes are tender. Turn off the heat, drain the cooked potatoes and place the pot back on the stove again so the heat evaporates the remaining liquid covering the potatoes. Once they are dry, mash them well with a potato masher. Add the butter and mash a few more times. Now, add the milk and stir. Season with salt and pepper to taste and finally whip them with a whisk until they're fluffy. Serve immediately.